​Houston based Murder the Stout (MTS) formed in 2004. They play progressive Celtic Rock music led by native Scotsman, Hugh Morrison, on lead vocals & squeezebox. Also in the lineup are Neil DuFour, Johnny Rioux, David Schaefer & David Lerner. 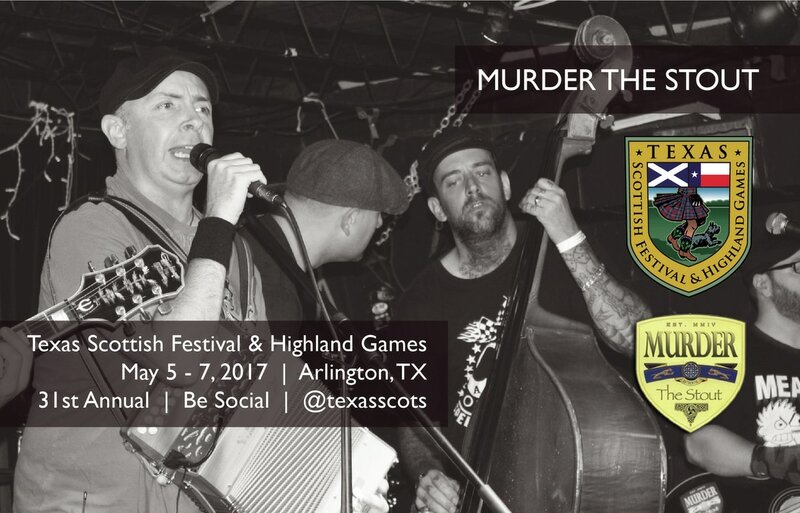 MTS have been compared to a Scottish version of The Pogues, with folk, rock, punk & ska as well as Celtic influences all apparent in their music. MTS released a 7 track EP in early 2012 to much critical acclaim prompting multiple label interest & multiple award nominations. Work is now on for a 2nd full length studio album, to be produced by Street Dogs' Johnny Rioux, whose recent work includes Flatfoot 56, Bastards on Parade and Roger Miret & the Disasters. MTS are in demand at most of the nations major Celtic Festivals and tour when their schedule allows.